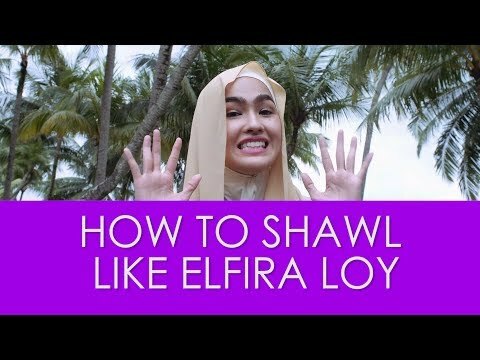 The real Elfira Loy&#39;s shawl tutorial. Elfira Loy Unbox EPISODE 1: Los Angeles Sephora Haul! #elfiranakraya EP 2: Makeup Dan Glam-up!